Based in the City of Leeds, Disruptive Printing specialises in providing high quality printed products and services to businesses throughout the UK. What makes us ‘disruptive” is that we combine many diverse professional skill sets under one roof, with the sole aim of making all business printing easier, faster and cheaper for our clients. And when we say “all business printing”, that’s exactly what we mean. Whether its business cards or billboards, packaging or POS displays, brochures or banners; whatever our clients need to be printed, one call really does buy all. Better still, we professionally manage every individual stage of design & print production in-house so we can continually optimise quality, maximise efficiency and minimise costs. The end result is that our customers can enjoy a “stressless” print order experience; secure in the knowledge they have accessed the best value the industry has to offer and always achieve their product quality goals on time. That’s our shared goal; that’s Disruptive Printing! We believe that purchasing print should be incredibly easy for our customers and know that to achieve our goal we continually need to think, act and communicate effectively. That’s why “exceptional service” underpins our entire product offer and why it begins even before customers place their first order with us. 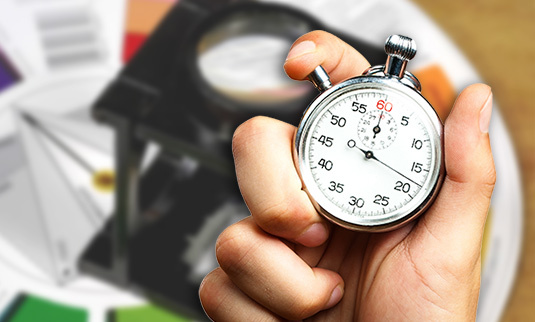 We are committed to respond to all enquiries within 2 hours of the next working day and will conduct a free expert analysis of your external print portfolio to accurately identify where costs can be reduced, where efficiencies can be gained and where quality and value can be enhanced. 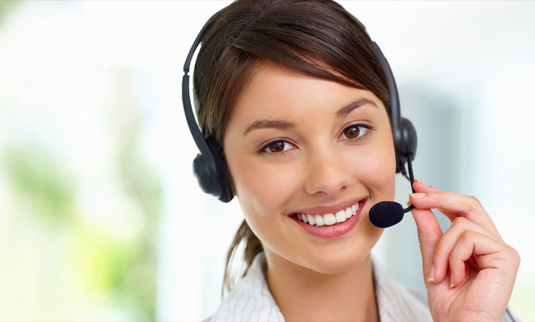 When you do become a customer; we will agree to manage as much of the difficult and time consuming work as you want us to, and then we will professionally manage every detail of each order you place with us. If you value great service then try Disruptive Printing for yourself. We promise you won’t be disappointed! We know that business success for our customers often depends on their speed of response to market opportunities and competitive threats. That’s why we employ expert teams to professionally create and manage every aspect of print orders from concept to completion. Whether we begin with content & artwork creation for new products or re-prints from portfolio works; because we manage every process stage in-house, we always optimise efficiency and can really accelerate completion for every order we process. Our sector expertise ensures that quick delivery times are always offered as standard and when our customers do need an “extra-special” delivery timeline; we are ideally positioned to help them achieve their objectives. 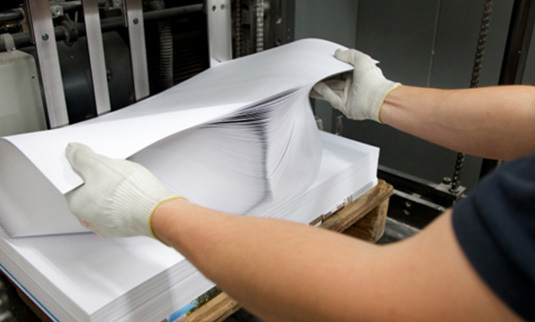 The quality of printed materials is determined by the product specification, the process selection and the controls applied during design & production stages. We work to accurately understand our customers’ objectives and then leverage our expertise to optimise specification for every order we process. Whether you want 5,000 very cheap flyers or an expensive luxury portfolio, we will ensure that your product is always ON Quality, ON Cost & ON Time. That’s the winning combination that helps our customers continually stay ahead of their competitors.